Based on Meredith Wilson's six-time, Tony Award-winning musical comedy, The Music Man JR. features some of musical theatre's most iconic songs and a story filled with wit, warmth, and good old-fashioned romance. The Music Man JR. is family entertainment at its best - a bold, brassy show that will have the whole town atwitter! Master showman Harold Hill is in town, and he's got seventy-six trombones in tow. Can upright, uptight Marian, the town librarian, resist his powerful allure? The story follows fast-talking traveling salesman Harold Hill as he cons the people of River City, Iowa into buying instruments and uniforms for a boys' band he vows to organize. The catch? He doesn't know a trombone from a treble clef. His plans to skip town with the cash are foiled when he falls for Marian, whose belief in Harold's power just might help him succeed in the end in spite of himself. 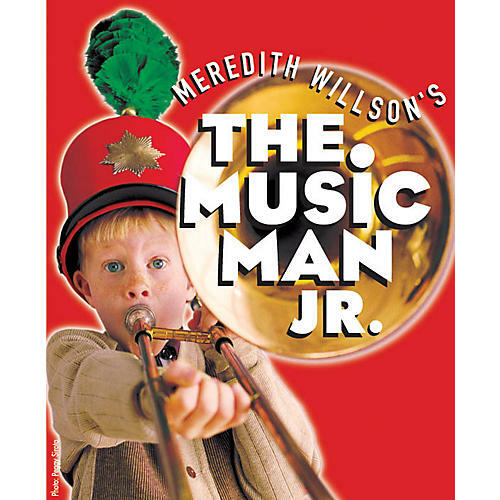 The Music Man JR. is the perfect vehicle for your young cast, a toe-tapping crowd-pleaser featuring a soaring soprano ingénue part and a leading role for a charismatic actor, as well as plenty of roles for kids of every level. This audio sampler contains a complete overview of the show, a complete list of characters, song ranges and full recordings of each song. This audio sampler also includes a complete description of all the Broadway Junior ShowKit components, details on how to order and other important information regarding your performance.